The chaga mushroom tea is a magic natural remedy. It has excellent refreshing and healing properties due to its high content of vitamins, organic acids and microelements. It strengthens the immune system and perfectly stabilizes the metabolism being suitable for an everyday use. The chaga mushroom extract is one of the strongest natural antioxidants, containing a huge amount of useful biologically active substances. 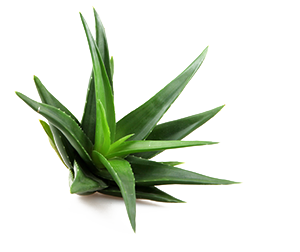 It is commonly used as basis of medicinal and cosmetic products proper for human health. We cooperate with many Russian and foreign companies ensuring the high quality and environmental friendliness of our delivered products performing all obligations, meeting the terms of export trades and providing the required documents and certificates. Cooperating with us is the key to success and prosperity of your business! 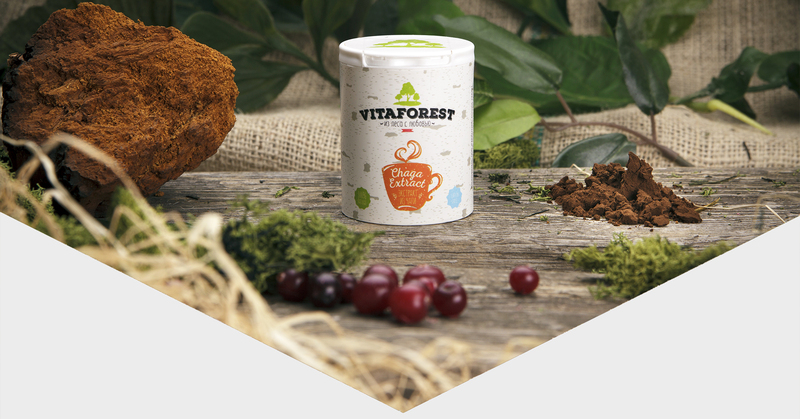 «VITAFOREST» is an international seller and manufacturer of natural superfoods for human health. Vitaforest is an ambitious company that is sure to become a leading force in the superfood market. With our resource base located in the unique Siberian and Ural forest areas combined with the cutting-edge processing facilities in St Petersburg, we provide our customers with natural additive-free products that help them to live a happier and healthier life. Our company started as a family business when two brothers decided to make the rich heritage of Siberian nature known and available all over the world. The aim was not only to sell high-quality goods, but also to provide people with the best experience in healthy living. We control all manufacturing processes from harvesting to packaging in order to ensure the highest standards of quality. Vitaforest is based on moral values. Its operation makes better living standards possible for hundreds of people in remote areas in Siberia where work opportunities are scarce. Our employees get higher wages and benefits due to our attention to their needs and economical challenges of this region. Your decision to choose our company is one more step towards a better future for all of them! We care about our customers and the people who work for us, but what about nature? Please rest assured that we do not neglect it, either. We make everything in order to prevent any damage to the fragile ecosystem of Siberia. If you want to learn more about our company or get official proofs of our products’ quality, do not hesitate to contact us. 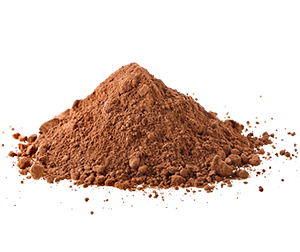 One of the most popular ingredients for nutritional supplements. 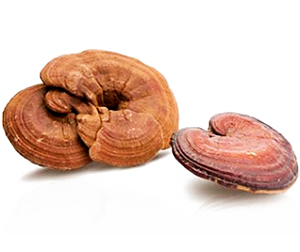 Mushrooms extracts are loved by manufacturers for their effectiveness and excellent compatibility. Harvested in pure Siberian and Ural areas, they are rich in natural biologically active components. No fillers or additives. Raw material origin: eco-forests in Siberia and / or the Ural mountains. Packages available: 5 kg (11 lbs) or as you request. Traced back to ancient China and Tibet, these ingredients are by far the most well-known. Extracts and essences of herbs and roots are used in various fields, from cosmetology to disease treatment. Pure natural extracts without artificial additives. Packages available: 5 kg (11 lbs) or as requested. 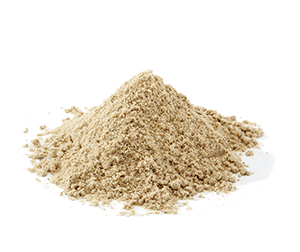 Vastly used in food supplements, they are appreciated for their exclusive healing properties. Used in food, medicine, beauty products and beyond, these extracts are an absolute must for anyone wanting to achieve a healthy lifestyle. An essential ingredient of superfoods, they are irreplaceable by any artificial additives. Preserved in the most gentle way, 100% natural Siberian berries are real treasure trove of nutrients. 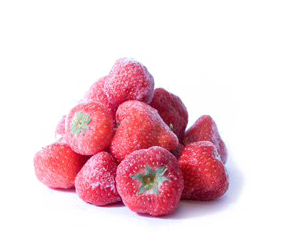 By using delicate processing methods, we aim at keeping packed berries as health-promoting as fresh ones. We do not add any flavouring to make our products more attractive – they are naturally perfect. 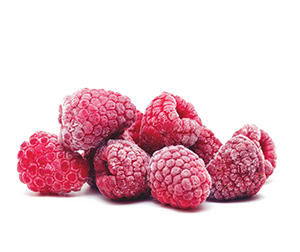 Packages available: 5 kg (11 lbs), 10 kg (22 lbs) for frozen berries. You can request other options. The best healing qualities of wild-growing mushrooms are preserved by us for our customers. Harvested in eco-clean areas, Vitaforest mushrooms do not contain any radioactive elements or heavy metals. Chaga mushroom is definitely on top, but we provide other species as well for a greater variety of health-beneficial options for our customers. Packages available: 5 kg (11 lbs), 10 kg (22 lbs) for frozen mushrooms. You can request other package if needed. 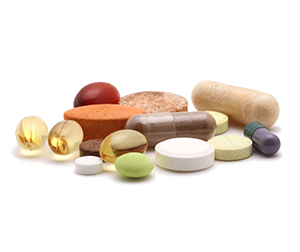 All sorts of supplements and nutrients full of health benefits. We provide both ready-made supplements and ingredients for future use. If you wish, our experts can design new products for immune system reinforcement, cancer and diabetes healing, etc. Insomnia, high anxiety levels, depression and other psychological problems can also be cured more easily if treatment includes biologically active supplements. Packages: 60 / 120 / 180 caps a jar or 5000 caps a box. Other options are available at your request. The most convenient way to benefit from Siberian healing herbs and mushrooms. Powdered drinks allow benefited from our exclusive products wherever, whenever you are. Easy to make – just add water or other liquid to make a delicious drink full of nutrients. Various flavours are available as well as specific ingredients that can be added to help cure some particular health problems or disease (poor immune system, fatigue, sleep problems, diabetes, etc.). Healing powers of Siberian forests in just a small sachet bag! Packages: 10 / 20 /30 sachet bags (2,5 - 3 g each) a box or 5 kg (11 lbs) packs. Other options are available upon request. We rely on hand harvesting in remote Siberian areas without using ecologically unfriendly machinery. Sustainable consumption is one of our values, so we use only environmentally safe ways of harvesting. All raw material used in our products undergo thorough cleaning in order to provide you with 100% safe products. Our advanced facilities allow preserving the natural power of organic ingredients thanks to the specific temperature control for every herb and mushroom. All our products are made exclusively of wild-growing plants, herbs, and mushrooms. These natural ingredients do not contain GMO or gluten, which has been proved by laboratory testing. To achieve better results, we use only advanced equipment and technologies. All our facilities are eco-friendly. Packaging is carried out in up-to-standard sanitary conditions with love and care. Various options of package are available at your request. All raw material used for our products is harvested by our company. Our products are never out of stock. Wholesale and retail packaging is available. If you want something unique, our experts can design a unique product according to your requirements, including products under your trademark. Our company is a reliable partner for your business. Together we can achieve more. 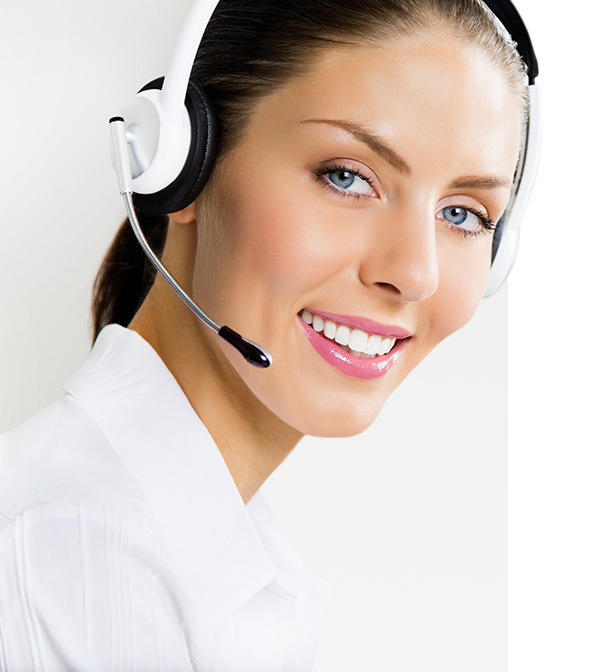 If you have any questions, our specialists will be pleased to answer them. Our manager is all yours! Our company is a direct manufacturer of Chaga and other natural products. We work with small retail and large wholesale. We cooperate with Russian and foreign partners supplying goods worldwide, based on individual orders. We will be pleased to answer any of your questions, such as how to become our partner, distributor or representative in all regions of the Russian Federation and abroad. You are free to discuss concerns by telephone or e-mail. We will be happy to promptly reply.